What To Wear Whale Watching - Tips For Men and Women! Questions such as: what to wear on a boat in the winter in the Gold Coast? Are not just for the ladies. Men, listen up too, there are some solid tips here that you will thank me for! If you are wondering also, what you need to take with you and how to prepare yourself for a whale watching (or boat) trip then check out the whale watching tips page too. Annie's What to Wear Whale Watching Tips! There's a theme here - Be prepared! What to wear whale watching? I know this sounds like a typically female question. But let me assure you my husband was glad I told him to rug up when we went whale watching on the Gold Coast in August. It's easy to look out of the window in the morning, see the blue sky and think I'll wear shorts! 10 miles offshore with a pesky cold westerley blowing right at you - you'll be glad you took the advice to bring some warm clothes! Don't forget to check out my whale watching tour review and photos of our August whale watching trip. June, July, August and September it can be quite cool on the water, especially if the wind is blowing. Actually it can be really COLD! Of course you can duck inside the cabin of the boat to keep out of the wind, but then you don't get the same view of the whales, which is after all why you are on the tour! It is really easy to be lulled into a false sense of security when you look out of your hotel window and see the bright blue sky. In the winter on the Gold Coast, although the temperatures during the day can reach low to mid 20s Celsius or Centigrade (around 70 to 77°F), it is the wind that will make you feel cold. It doesn't take much to pack some extra layers and a lightweight windproof jacket. Long trousers are my pick when it is breezy! Layers are great because you can take them off and put them on at whim. Memories of watching the humpbacks off Surfers! This is MANDATORY! Always be prepared for the sun in the Gold Coast! You can get burnt by the sun in the winter in the Gold Coast. In fact more easily than in the summer because you are not prepared for it. Invisible zinc is great for your face and don't forget your ears. Hats with a brim are better than caps as caps leave the sides of your face, neck and ears fully exposed. I think ears are the most neglected part of most people's sun protection routine. Don't let your ears burn! Hats are difficult things on boats as they can fly away in the wind. I'll leave that dilemma up to you to work out! You will be out in the elements for a good couple of hours. Don't overlook this even if it is cold and the winter. Drink lots of water. It is easy to dehydrate. This is one caught me off guard and a few others too. As soon as catamaran starts getting up to speed there is spray. There is more spray the rougher the weather or the stronger the wind. The other time when you may get sprayed but you won't want to go inside is when you are watching whales close by and they spray you with their whale spouts! I thought whale spouts would be quite solid looking water spouts! How wrong was I! The reality is they are very fine sprays but very large sprays and they seem to be able to travel quite a distance. A good waterproof jacket is an option. It will also protect you against the wind too. I know this may sound obvious, but wear clothes that are appropriate for a boat. You need to be in comfortable clothes that you can easily move around in. You don't want to be in short tight skirts or long flowing ones, ladies! The gentlemen may enjoy watching you spend the entire trip trying to keep from flying up! But you won't be concentrating on the reason you are there! Sneakers or comfortable sensible shoes are the best options for boats as well. You want to have sure footing as you move around. What To Wear Whale Watching In Winter On The Gold Coast? Personally, I would wear long trousers and take a pair of shorts to change into if I was pleasantly surprised by the weather in the winter. I would make sure I had layers, a body warmer jacket is a good option and long sleeves. My old faithful waterproof and windproof jacket would be in my bag. If it was really cold I might even take a beanie or woolly hat that covered my ears! All the usual sun protection and sneakers for my feet. What To Wear Whale Watching In Spring On Gold Coast Australia? By spring I mean late September and October for whale watching purposes. I would probably wear 3/4 (Capri-style) pants or shorts if it was really warm. I would still take a fleecy top, or something warm for the top. Layers! If it was windy I would probably wear or take long trousers just in case. I always carry a spray jacket (you may know this as arain mac, cagoule or windcheater) in my bag. Sun protection at this time of the year is an absolute must before leaving the house. Face, nose and ears need to be covered well. Sunglasses and a hat are a must have. I'd probably throw in a swimsuit and towel, not that you swim off the boat, but when you get back to dry land if the weather is nice you can find a beach and go for a swim! Snack - you'll be out for a couple of hours, although most boats have some small snacks for sale. I hope you have enjoyed these tips on what to wear whale watching. If you have any more tips or ideas I'd love to hear them and with your permission I can even add them to this list! Please come back often, share this with your friends, Like us on Facebook or Tweet this - you'll find the buttons at the bottom of the page to make it even easier! 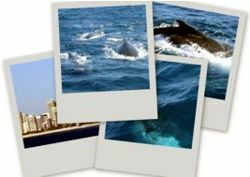 Here's a selection of the best current deals at the moment for the whale watching in Gold Coast. 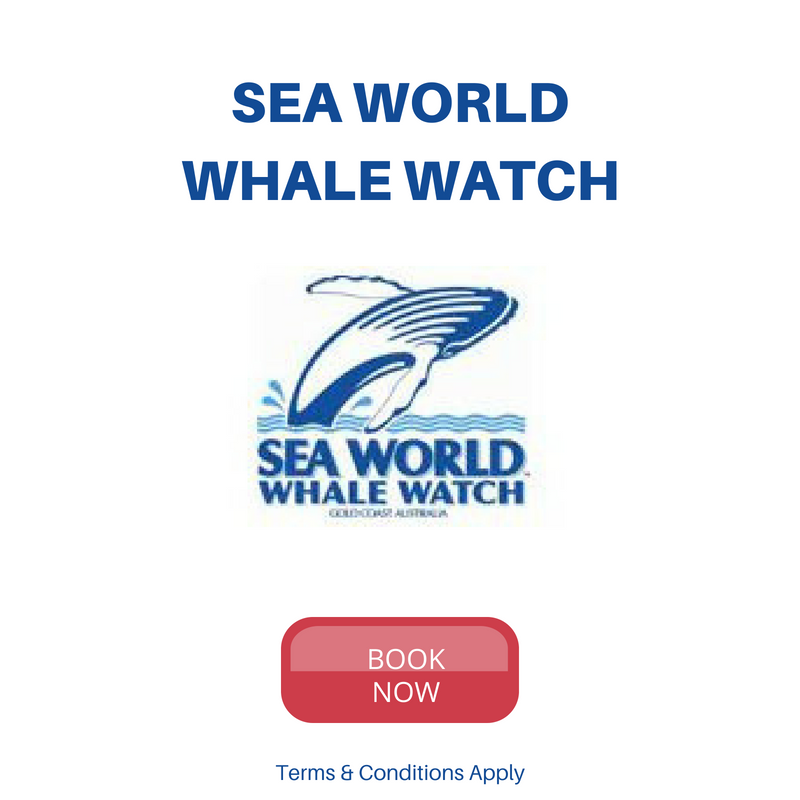 Please check here for all whale watching options including Coolangatta option for those staying in southern Gold Coast. These cruises go from the heart of Surfers Paradise, so you don't need transfers! Departs 4 times per day - two in the morning morning, a midday and an afternoon departure. 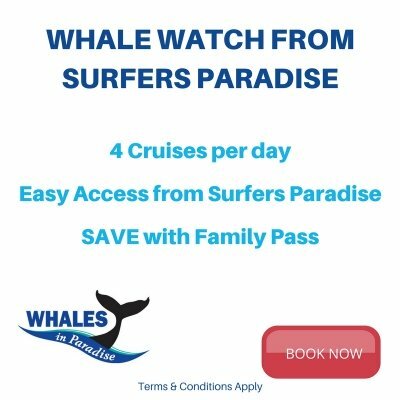 There are a couple of great advantages for this whale watch including the convenience of the departure location, a bonus canal cruise to see the houses of the rich and famous from the Gold Coast before you head out to see the whales and the flexibility to choose one of 4 daily cruises to see the whales. Cruises are just over 3 hours and depart at 8.30am, 10.30am, 12.30pm and 2.30pm daily. You need to be checked in at least 20 minutes before departure.